Thomson Reuters is joining Concordia in a year-round effort to create programming centered on global innovative financing and to support the Concordia Africa Program, specifically within Youth Employment & Entrepreneurship at the 2018 Concordia Annual Summit and beyond. 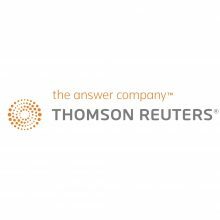 The partnership between Concordia and Thomson Reuters will highlight Thomson Reuters’ expertise as a facilitator of conversations and connections that form a meaningful foundation for social impact on complex challenges for the African continent. At the 2018 Concordia Annual Summit, Thomson Reuters will lead a private roundtable session and foster robust dialogue to address the challenge of how global companies can leverage ESG (environmental, social, governance) data to drive sustainable growth and increase profitability. According to the Thomson Reuters Diversity & Inclusion Index, ESG is transforming business decisions, which demonstrates the value of an inclusive workplace and its link to financial returns. Thomson Reuters will further engage the Concordia community at the 2018 Annual Summit through a strategic dialogue revolved around the workforce implications of a rapidly-expanding African population, as well as the demographic makeup at play. The discussions during this engagement will strive to answer the complex, overarching challenge of African leaders to ensure that job creation for young people keeps pace with the profound continental population growth, while supporting adequate workforce development, entrepreneurship, and productivity in the coming years.